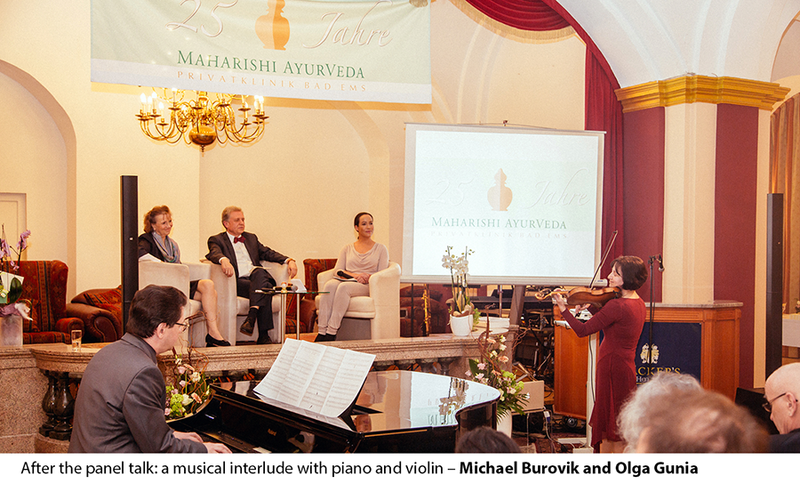 On February 24, the eyes of the Ayurveda world once again turned to Bad Ems. 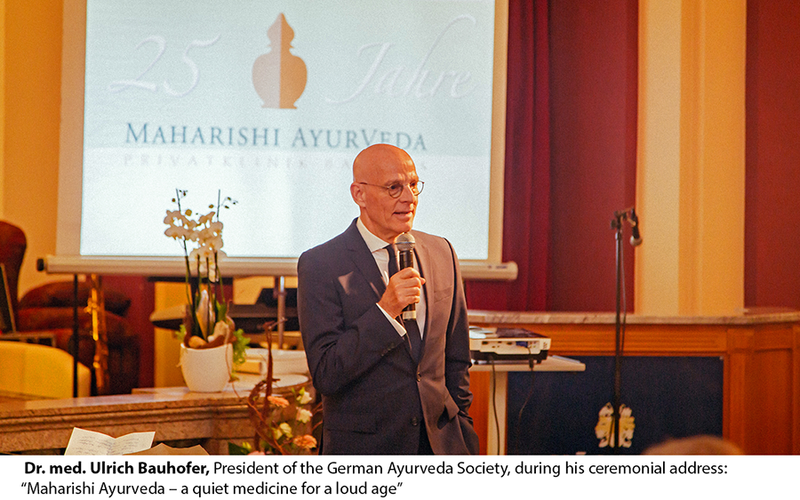 The occasion was the 25th anniversary of the Maharishi Ayurveda Health Centre, celebrated in a fitting manner with more than 200 invited guests in Häcker’s Grand Hotel. 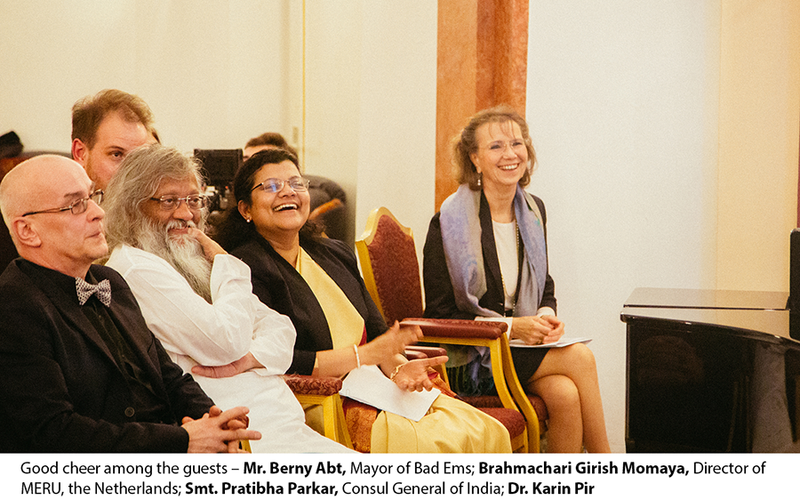 This was a worthy ambiance for a great event. 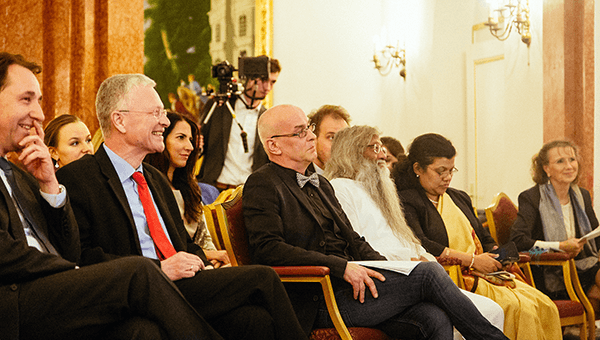 After all, during its 300-year history, the historic building – recently restored elaborately – has already accommodated emperors and Russian tsars, along with celebrities like Goethe. 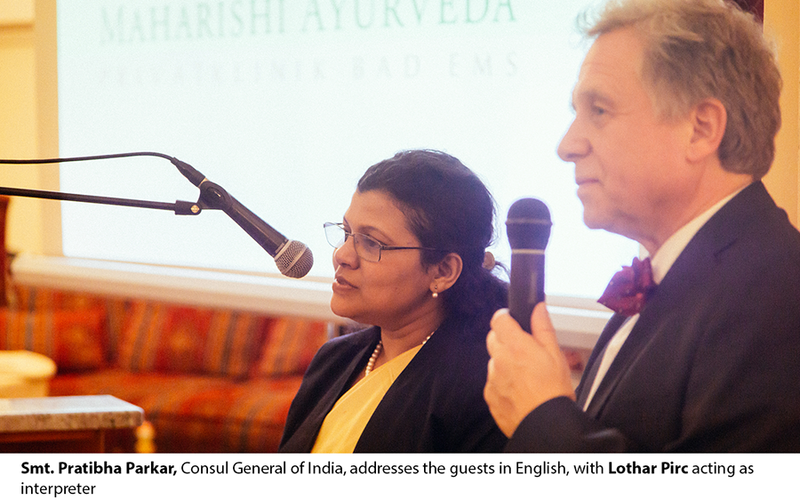 For 25 years now, Lothar and Karin Pirc, husband and wife, have run the Ayurvedic clinic here in Bad Ems, attracting people in search of health and rejuvenation from all over the world. 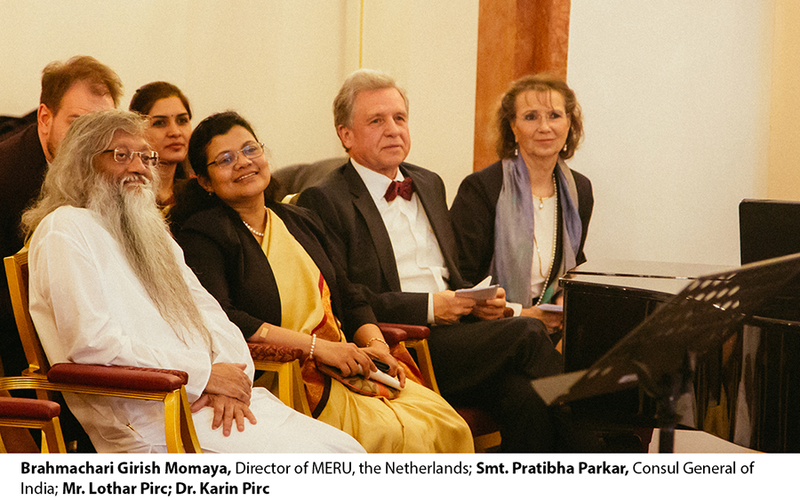 On this evening, mostly politicians and renowned Ayurveda representatives had arrived on the occasion of the anniversary and found words of praise for the Health Centre and Ayurveda. 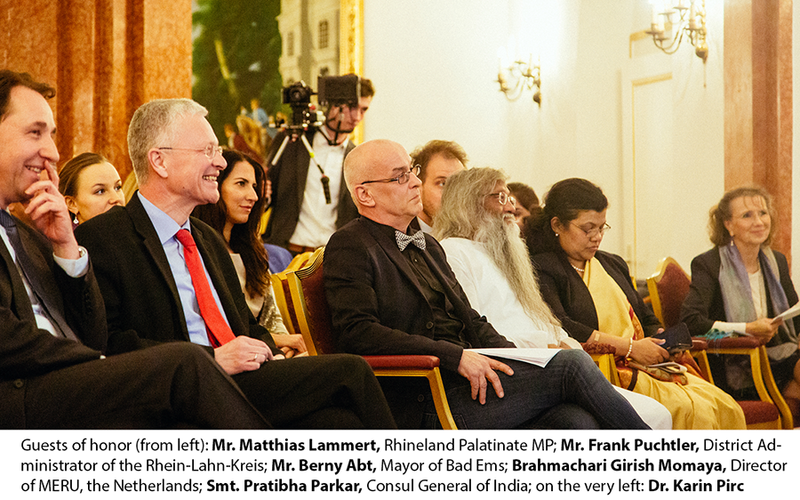 Many a guest of honor also expressed their desire for greater popularity of Ayurvedic medicine in Germany, including the Indian Consul General Pratibha Parkar, who wished for greater support from health insurance companies, so that more people could benefit from Ayurveda. 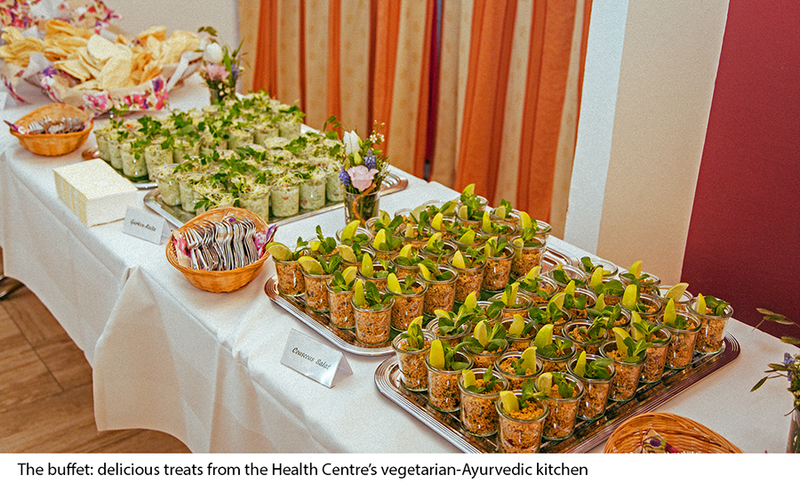 The benefits of Ayurveda were asserted by television presenter Nandini Mitra, who, like other celebrities, is a steady guest at the spa clinic and who likes to identify herself as a convinced fan of Ayurveda. 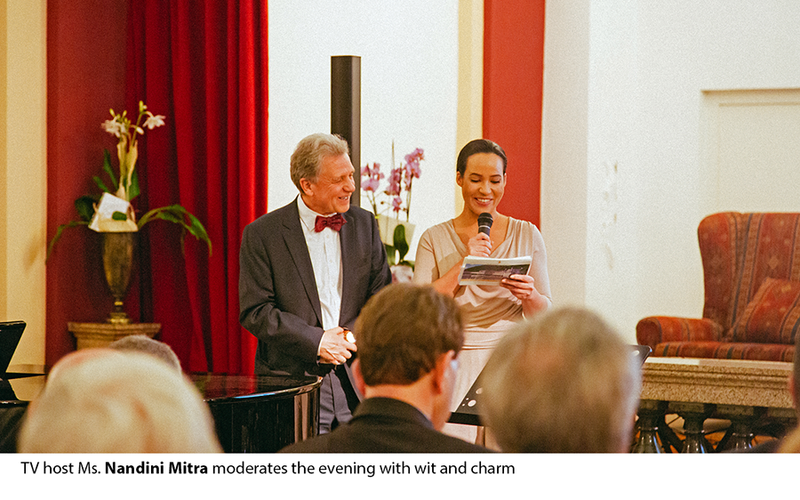 With great charm and humor, she led the guests in the best mood through a successful evening, with a mix of songs from the local choir, classical music, and cabaret interludes. 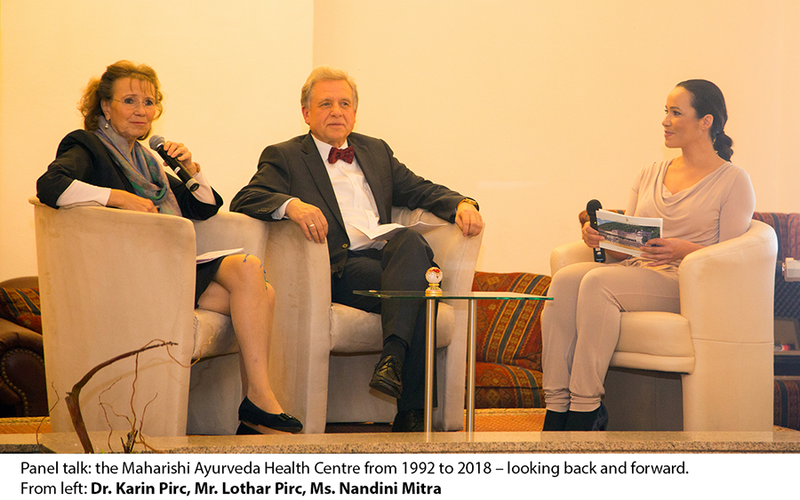 During the podium talk, Ms. Mitra got the hosts to talk about many interesting and personal details from the history of the Health Centre. 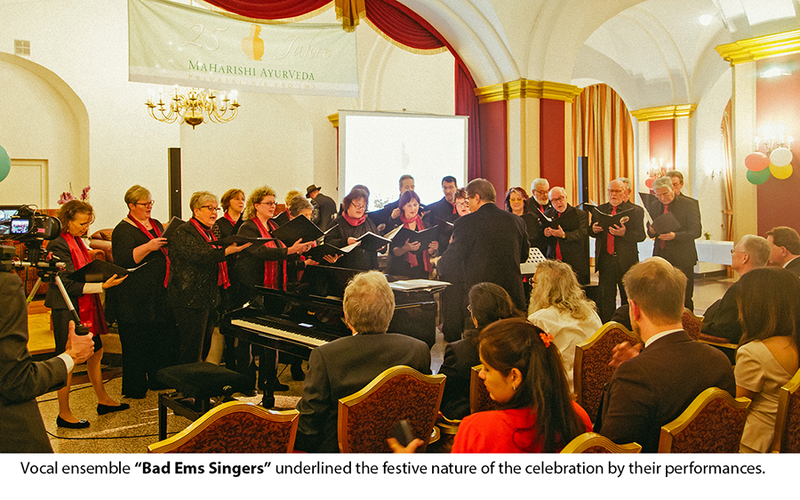 For example, the Centre’s beginnings had been anything but easy. 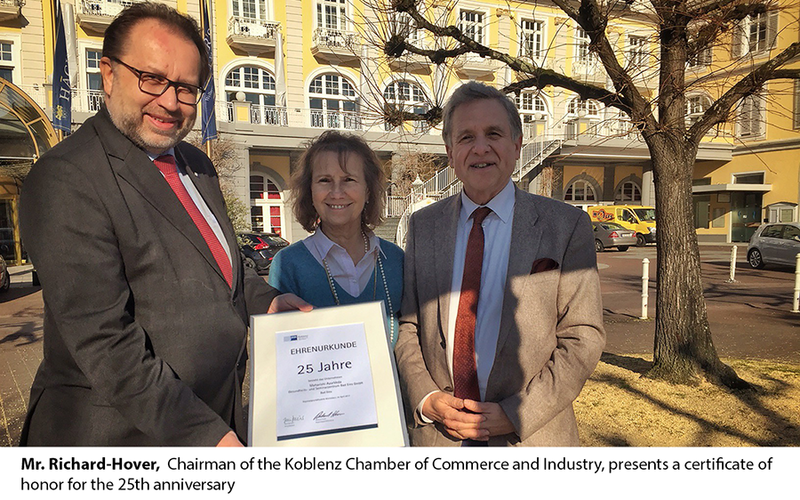 “We were pretty naive when we embarked on this project,” admitted founder Lothar Pirc. 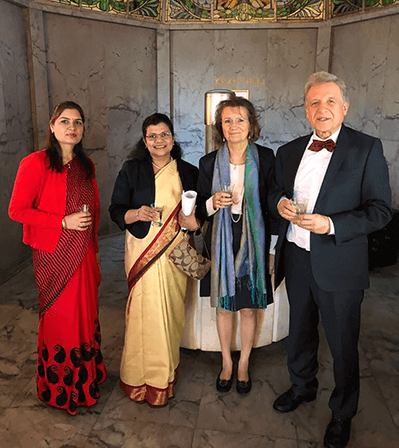 Poor food, traffic noise, and financial hurdles all had to be conquered – which was achieved, fortunately, through much creativity, perseverance, and zeal. 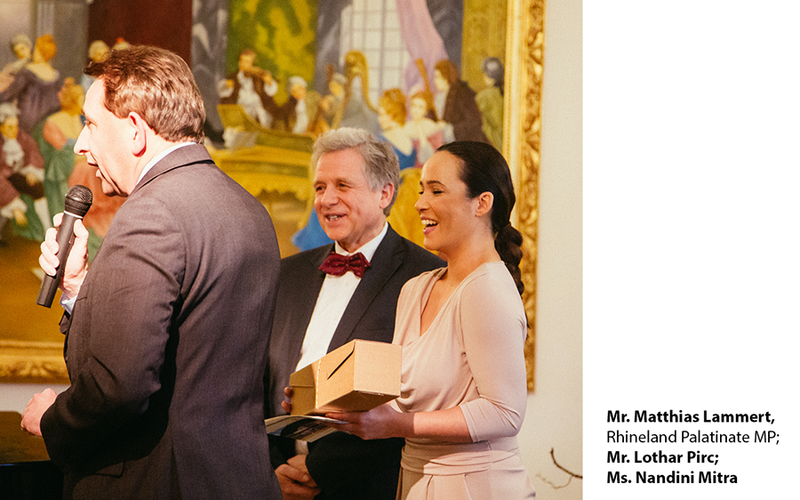 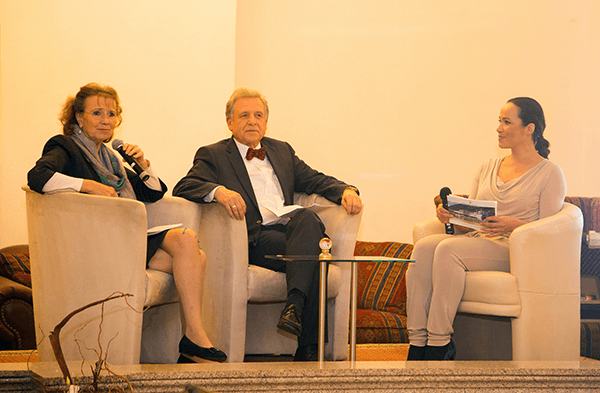 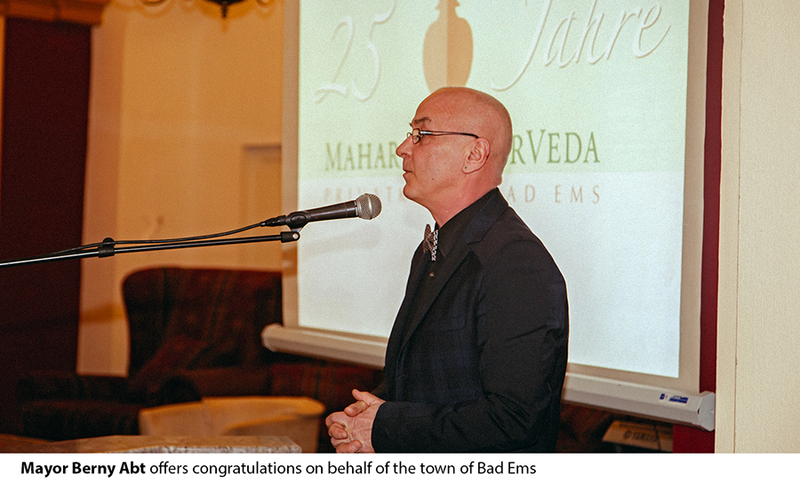 The success has vindicated the initiative: Over 25 years, some 25,000 guests have traveled to Bad Ems to witness and experience top-level Ayurveda right in the middle of Germany. 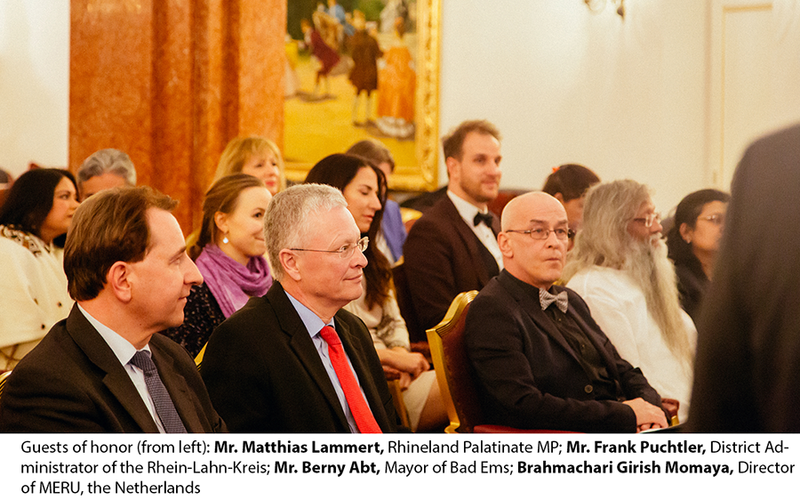 Also for the spa town of Bad Ems, the Ayurveda clinic has proved to be a real blessing: “They have brought guests here from distant lands, guided the kurhouse into calmer waters and ensured its fourth star,” Mayor Berny Abt said during his address. 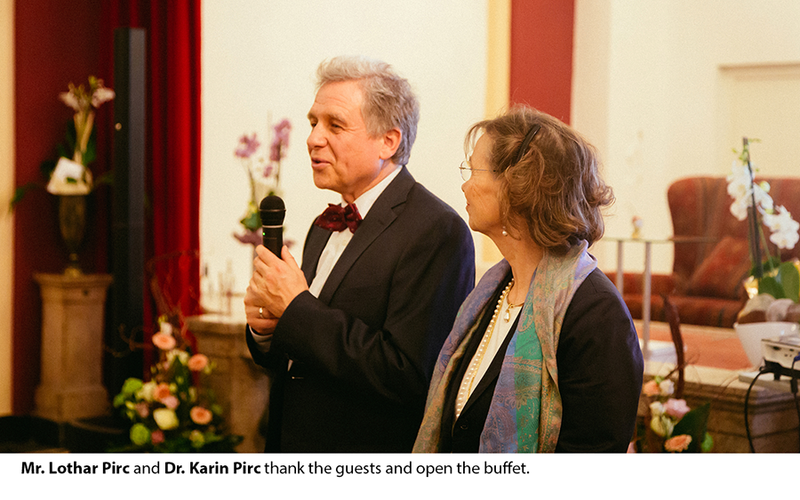 In times when numerous spa clinics in Germany had to close their doors as a result of health care reform, Mr. and Mrs. Pirc came out on top. 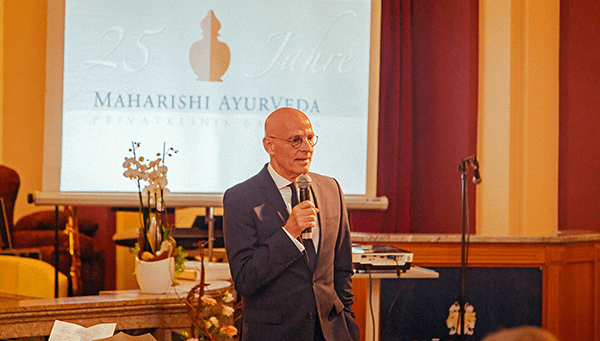 By maintaining first-class quality, they made the former kurhouse into what it is today: Europe’s leading private clinic for Ayurvedic treatments. 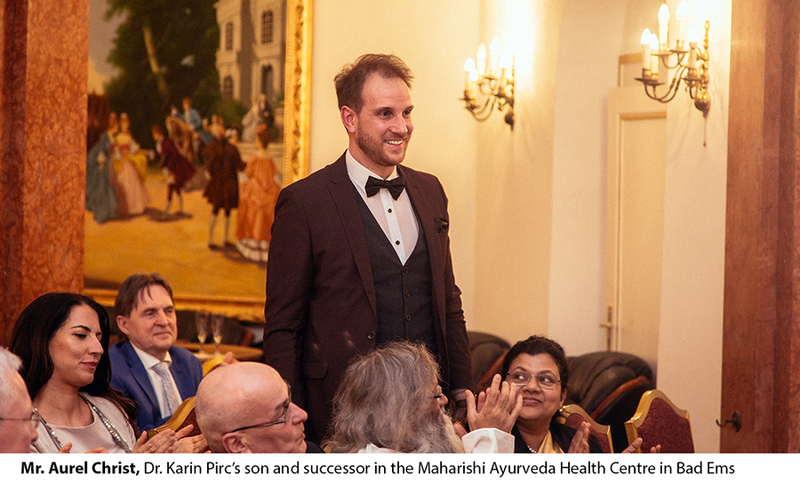 High-level international awards have helped to carry the Health Centre’s excellent reputation to distant countries, among which stands out the “Best Ayurveda Physician 2006” title awarded to doctor Karin Pirc, the first woman and the first European to receive such honors. 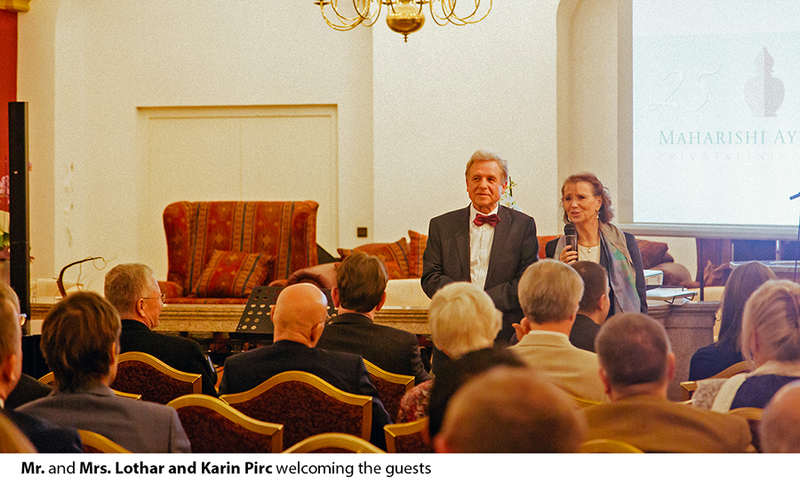 The clinic’s fame in Russia was enhanced significantly by the “Gold medal for Honor and Good” awarded to Lothar Pirc by the Russian Foundation “Patrons of the Century”. 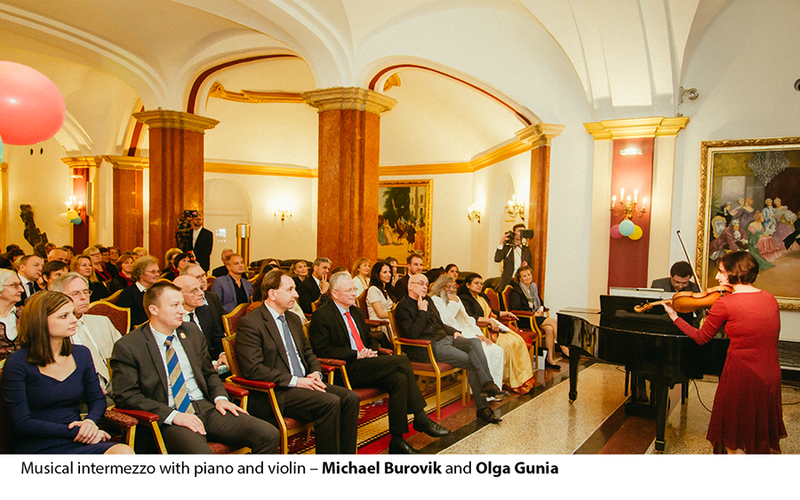 Many gifts and congratulations from all over the world bore witness to the great international renown and recognition of the Health Centre. 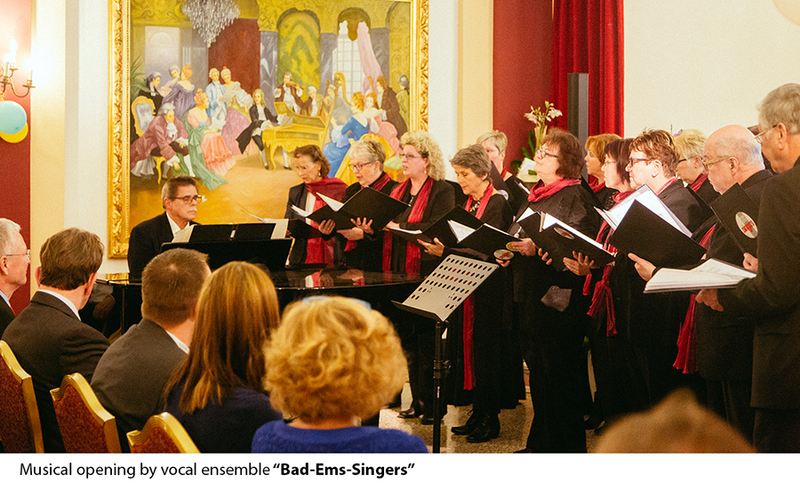 at one of the 17 healing springs of Bad Ems. 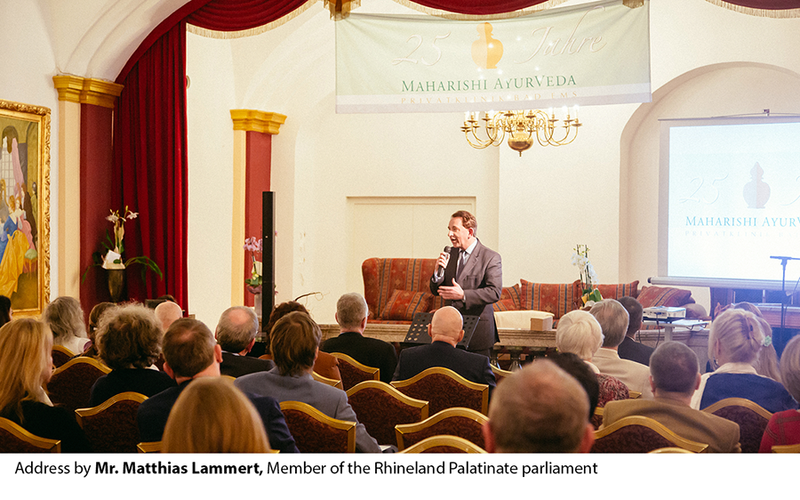 Lothar and Karin Pirc will continue their commitment to the spread and recognition of Ayurvedic medicine, together with son Aurel Christ, who has imbibed the knowledge from his parents since childhood. 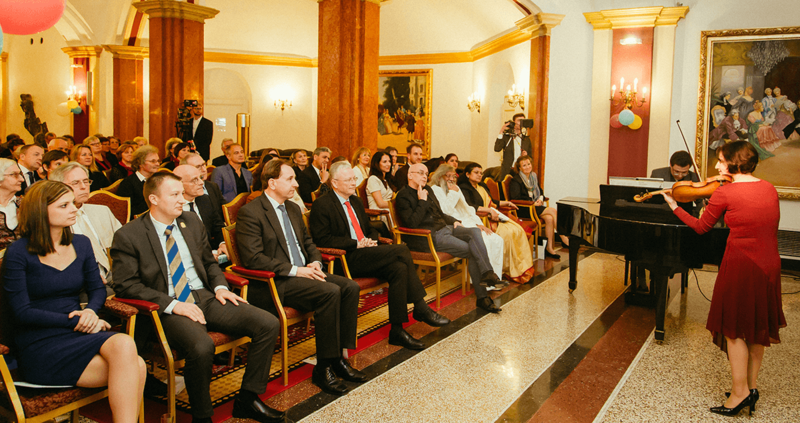 Planned research studies documenting the Health Centre’s results will help in this endeavor. 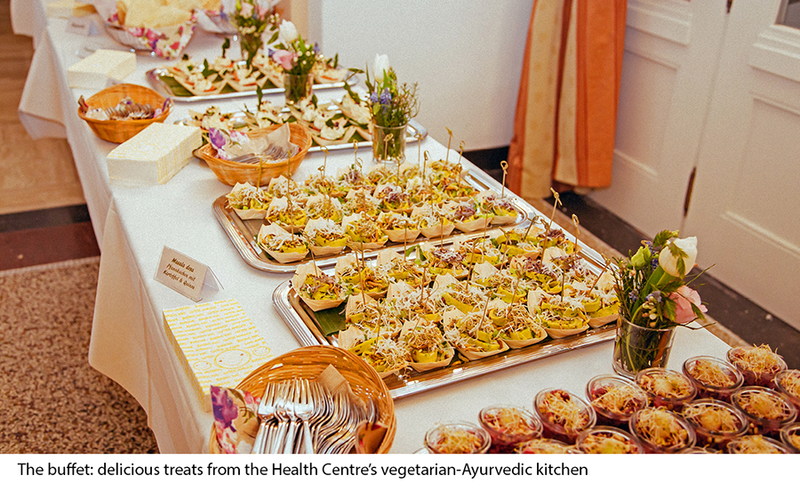 The happy guests enjoyed vegetarian Ayurvedic gourmet snacks from the clinic’s own kitchen and dancing music to close the festive evening. 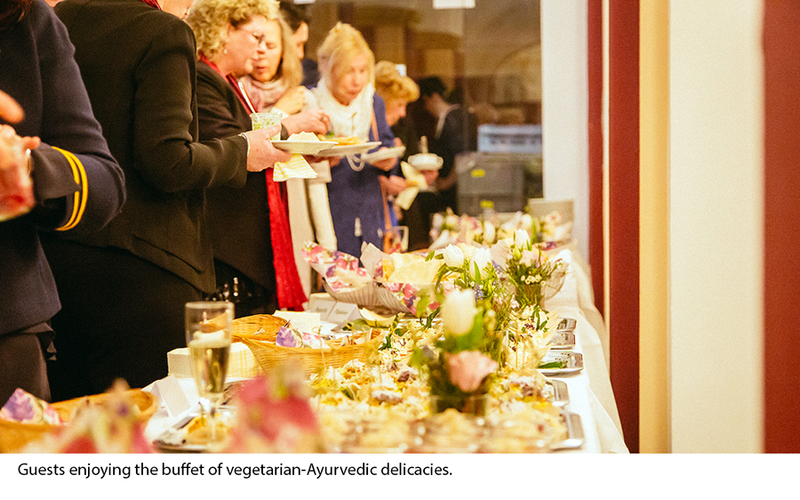 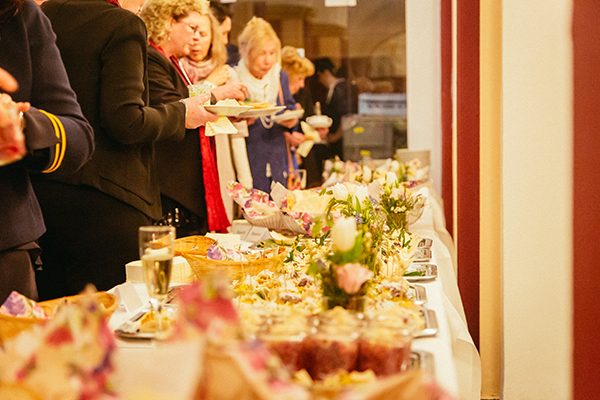 Guests enjoying the buffet of vegetarian-Ayurvedic delicacies.